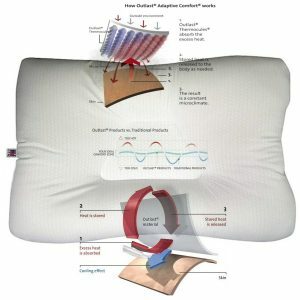 A Therapeutic, orthopedic body pillow uses an ergonomic teardrop design which promotes proper pelvic and shoulder alignment for the best side sleeping solution. High density foam that wont squish down and loose it’s shape or retain too much heat. This allows the best sleeping position suggested by health care providers. Best way to support your upper back, shoulder, lower back and legs, and get the most out of proper sleeping spinal alignment. Dimensions: 6.7″ by 11″ by 40″. 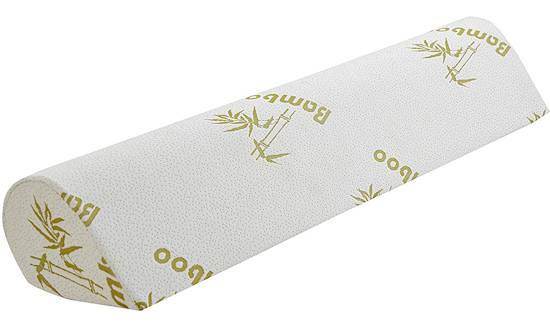 Hypoallergenic, soft Bamboo Cover offers great moisture wicking properties to keep you cooler at night. Machine washable. 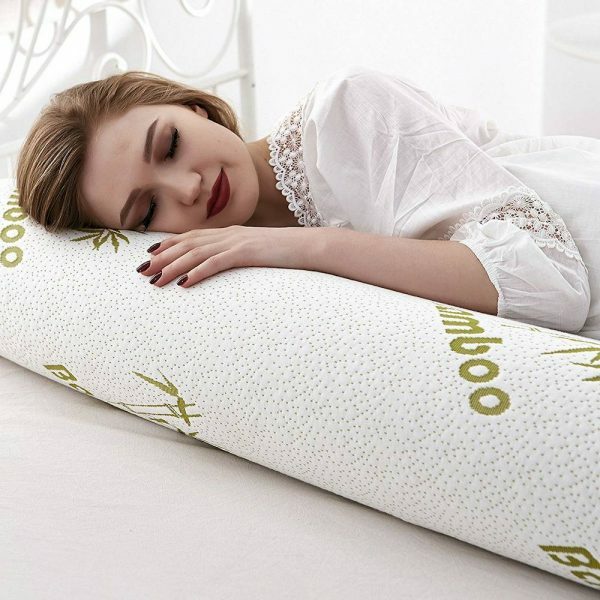 The orthopedic body pillow uses an ergonomic teardrop design which promotes proper pelvic and shoulder alignment for the best in side sleeping solutions. 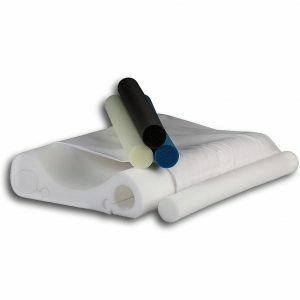 It is specially designed with a high density foam that wont squish down and loose it’s shape. This allows the best sleeping position suggested by health care providers. 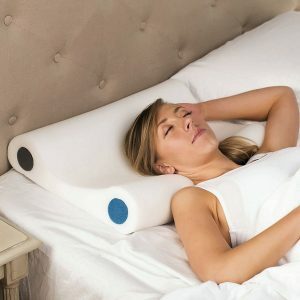 Once you have a good neck pillow for side sleeping, don’t ignore the rest of your body. Your upper and lower back need correct support as well. 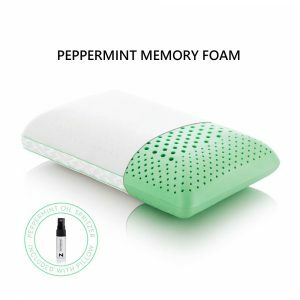 This is the most efficient means to support your upper back, shoulder, lower back and legs, and get the most out of side sleeping pillows for the head and neck. Made of very supportive therapeutic foam. 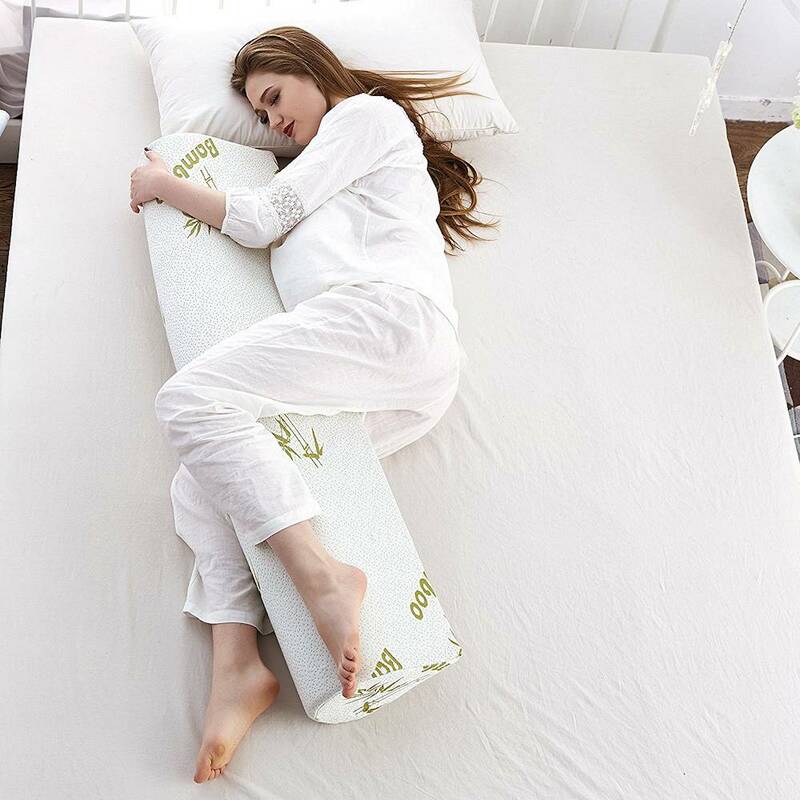 This is an orthopedic device or a therapeutic body pillow designed for optimal positioning, while at the same time, provides great comfort and support. Multiple uses and an extra support pillow, great for supporting those with shoulder problems, a great body pillow for positioning and transitioning from stomach to side sleeping, and use under knees for relief of lower back pain when back sleeping. An exceptionally useful pillow that has multiple functions due to the special orthopedic design and style. As a body pillow, it provides comfort and support. It provides warmth that many stomach sleepers need and helps transition from stomach to side sleeping in stages. It provides a sense of soothing security and well being. 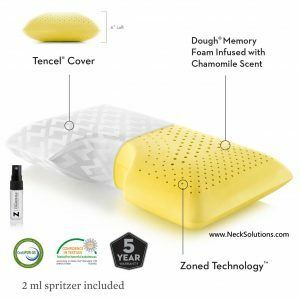 The function helps alleviate stress on the neck and back by the promotion of side sleeping and also helps to relieve shoulder pain while sleeping. Due to neck and back pain that stomach sleeping causes by twisting the neck and hyper-extending the back, especially with a soft mattress, a common request is a solution for this bad posture habit when sleeping. Many have tried a pillow that is too big and heavy or uses fiber that flattens, resulting in frustration and disappointment. Many have also used leg spacers, small blocks of foam between the legs, but they are difficult to maneuver and slip out easily during the night. Sleeping on your stomach without a special pillow causes sleeping in full head rotation for long periods. This can cause jaw joint problems, strain of neck muscles, damage to neck joints, and nerve pinching in the neck, which can cause waking up with a neck stiffness, tension and neck related headaches and long term neck problems. With 2 options for placement, you can experiment with the teardrop wedge pointing both in and out to help to find your unique comfort position. To begin, a sleep position with the pillow pointed in results in good spinal alignment. This is a transition for stomach sleepers and you can start in this position. Eventually, you want the pointed wedge facing away, which results in the best spinal alignment. The teardrop design and shape shape provides a sleek, yet supportive design option to large, flimsy and hard to control body pillows. When you have transitioned from stomach to the full side sleeping position, or if you just need a good therapeutic body pillow, the side sleeping position has many benefits. Having the neck in the correct alignment along with a the rest of your body will reduce strain and tension, allowing the muscles to relax and keeping the neck in its all-natural posture as well as reduce pressure on the internal organs. The pillow also aligns the lower back and can help alleviate back muscle spasms. The same harmful effects with a twisted neck also apply to the lower back when not aligned correctly. The twisting stresses the joints, ligaments, muscles and nerves while you sleep. The body pillow permits alignment of the entire spine to help get a better nights sleep and wake up in the morning with less pain and stiffness. For those suffering with persistent back pain or an acute strain or pulled muscle, using the pillow under your knees while lying on your back can help reduce muscle tension. When not in use for sleeping, the body pillow can also be positioned behind the back used for better positioning while reading or watching TV at night. 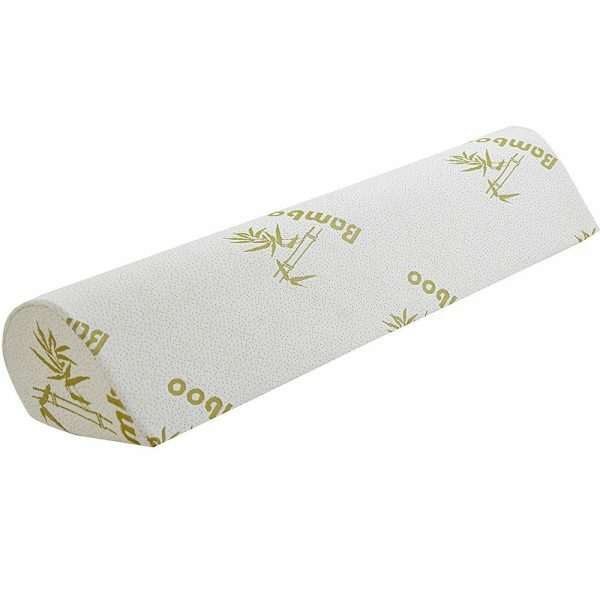 For those who do not sleep on their stomachs, experiment with the orthopedic body pillow using the wedge pointed in and out in order to get the most comfort possible. It will not twist up the covers and is very easy to maneuver because it is lightweight. It won’t take long before you will wonder how you ever slept without it! It may not be the easiest pillow to travel with, but find the room if you can, because once you get used to it, you will feel lost without it. 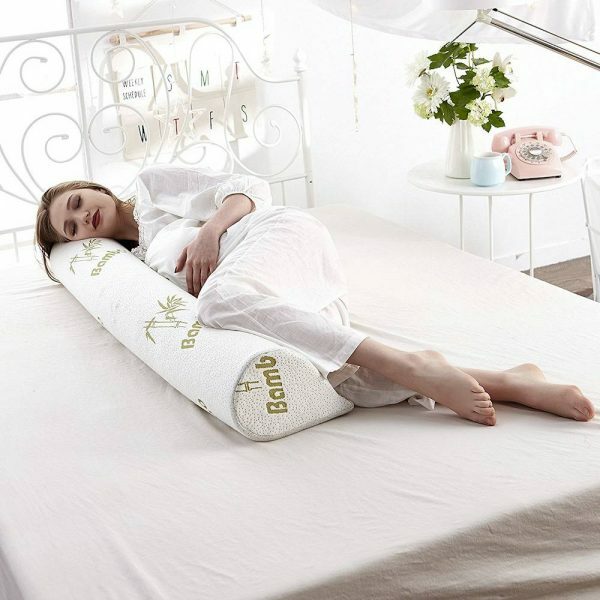 With its great versatility, quality, orthopedic design, durability, and 100% satisfaction guarantee, it is a therapeutic body pillow that should not be overlooked. You will get many years of use and comfort. Great as a part of posture modification therapy for the whole body. Stomach sleeping places harmful torsion forces for extended periods of time. We need an orthopedic device to help phase in side sleeping. 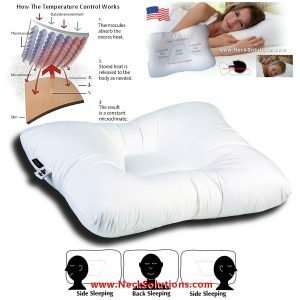 Without a specially designed stomach sleeping cervical pillow, this can lead to neck problems. Use the wedge facing towards the body, offering a mild start to side sleeping with slight position modification. Use the wedge pointed away from the body to allow a healthy side sleeping position with full body support. Doctor’s Note: In addition to a supportive neck pillow, if you have difficulty getting comfortable trying to sleep on your side, the orthopedic body pillow is an excellent solution. 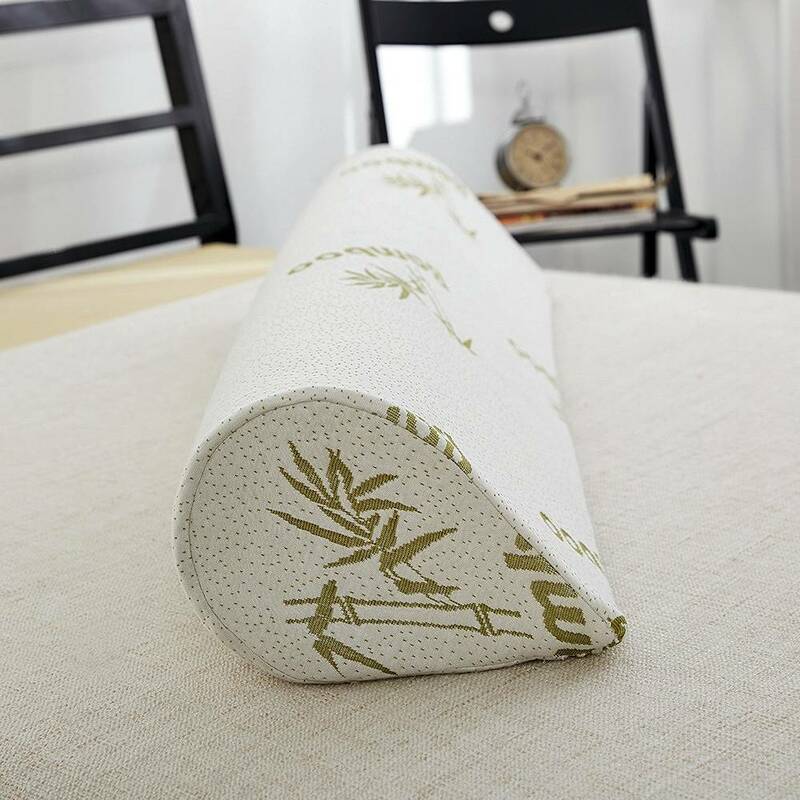 The teardrop design and soft bamboo cover is perfectly combined and this is one of my personal favorites. 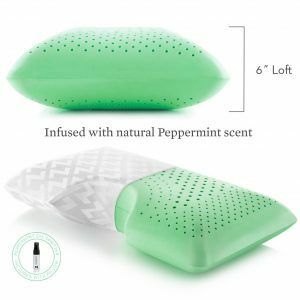 I have been a teardrop body pillow for years and it has been a great tool to help sleep on my side earlier after my second shoulder surgery. With the wedge pointed out, it allows my shoulder to comfortably relax without pain and keeps my lower back aligned. Highly recommended! Additional note: As you can see from the pictures, many pregnant women will also find this pillow a useful and comfortable alternative to heavy or cumbersome maternity body pillows.